SMART READING – Why you need to read to lead! Study after study shows that reading directly correlates to wealth, success, and making the right decisions in life! What you read also has a significant impact. The SMART read to be educated, not just entertained. Reading (audiobooks included!) is a huge hobby of mine. While I can’t stand traffic, it is a great opportunity for me to attend the University of the Automobile, going through one audio book a week. Coupled with my bedtime books, break books, and down-time books, I make it a point to at least read a couple of hours a day combined. Below is a list of my favorite books with a brief description of it. It links directly to amazon, where you can purchase the book or also purchase the audiobook through audible. If you don’t have audible and have some drive time to work or school, you are missing out on a huge opportunity! Click here or on the audible graphic to get a free audiobook. You can download the app to your phone or tablet for convenience, and hook it up to your car stereo through your aux or bluetooth capabilities. Please comment below on your favorite book! I have a large library with books that I haven’t ready yet, but always looking for more recommendations. I plan on updating this list on a regular basis, so maybe it will make my list. SMART and Happy Reading! Sun Tzu, a Chinese high-ranking general, who wrote his treatise on war thousands of years ago. Quotes from his book are used not just for the military, but for sports, business, politics, and even for personal motivation. Top leaders like General Douglas MacArthur have drawn inspiration from his work. Despite advancements in technology, equipment, and weapons, little has changed with strategies. Gladwell is one of my favorite authors, and I have listed almost every book he has written below. I was in Iraq the first time I read his books, this one being the first. I remember after reading the first page, I was hooked! In this book Gladwell write about how an idea, product, trend, or social behavior “tips” to go viral and spread like a wildfire. This book made me rethink how to approach selling an idea, product, or service. 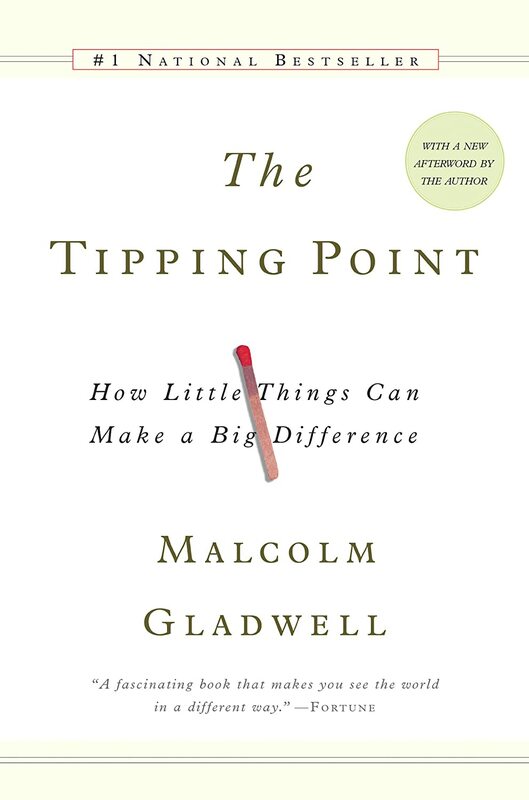 Another great book by Gladwell, explaining why some people make great decisions, and others don’t. 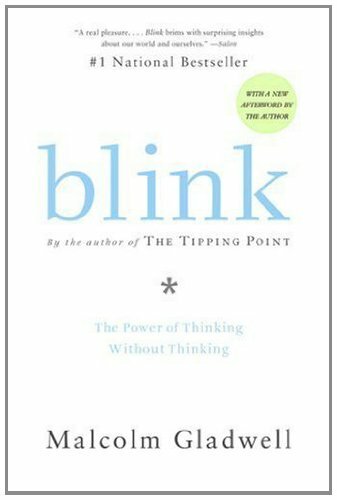 This book helped me realize how our instincts can help us succeed and that many times the best decisions we make aren’t based on logic, facts, or reasoning. It is based on something Gladwell calls “thin-slicing”, the ability to filter our initial gut feeling to make the right decisions. The biblical account of David and Goliath is one of my favorite (not because my name is David) but it showed how an underdog can win despite overwhelming odds. In pure Gladwell fashion, he is able to tell stories about people whose “disadvantage” actually became their “advantage.” The struggles many had to face early in their lives, what Gladwell calls “desirable difficulty” became the force to help them change the world. This book gives anyone hope to those who thinks their past is something that will hold them back. This is one of my favorite books of all-time. 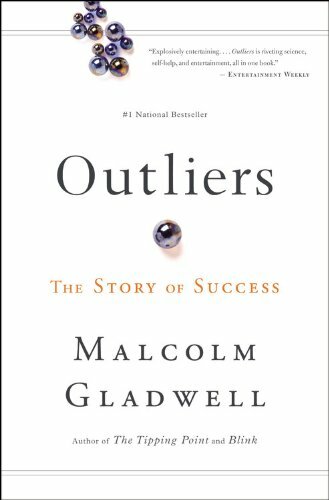 Malcolm Gladwell is a master story teller and his recipe for success is completely unorthodox, but makes total sense. He describes why people become successful, from musicians, athletes, to billionaires. This book makes you rethink your past and background, and how you are who are because of it. Success is far more surprising than you think it is! I was an economics major in college, and enjoyed the numbers side and theory of the social science. However for many it could boring and something your eyes glaze over one. Leavitt is an economist and has taken the theory by applying to everyday living, showing how economics is the root of the decisions we make. I have been in different leadership positions that required me to convince and have people buy into my vision, ideas, and strategies. This book helped me understand how our psychology works to better communicate our message and why some things stick and go viral, while some fall flat. After reading this book, I had no idea how our habits impact most of the decisions we make, why we form bad habits, and why they are so hard to break! It was fascinating to read that using our habits toward our advantage instead of against them is crucial to success in all aspects of our lives. 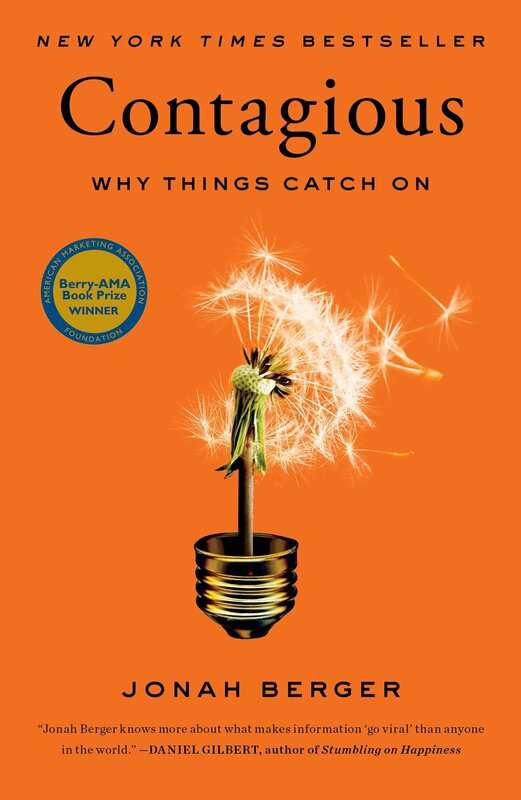 By understanding how habits work through new scientific discoveries, this book helped me see what we all do in a new light and how we can use them for our advantage! We are who are today because of the decisions we made yesterday. We will be who we will be through the decisions we make today. So how do we make better decisions? I wrote an article about this, recapping this book here. We make bad decisions because of our cognitive biases. The authors give simple steps so we are aware of them and are able to avoid them! Peter Thiel is the founder of Paypal and was the first outside investor of Facebook and now is director of the company. He started a Silicon Valley Venture Capital Firm and has provided early funding for companies like LinkedIn, Yelp, Space X, Air BnB, and much more. He gives advice on what companies and leaders need to do and how to think for themselves in order to be successful in today’s economy. 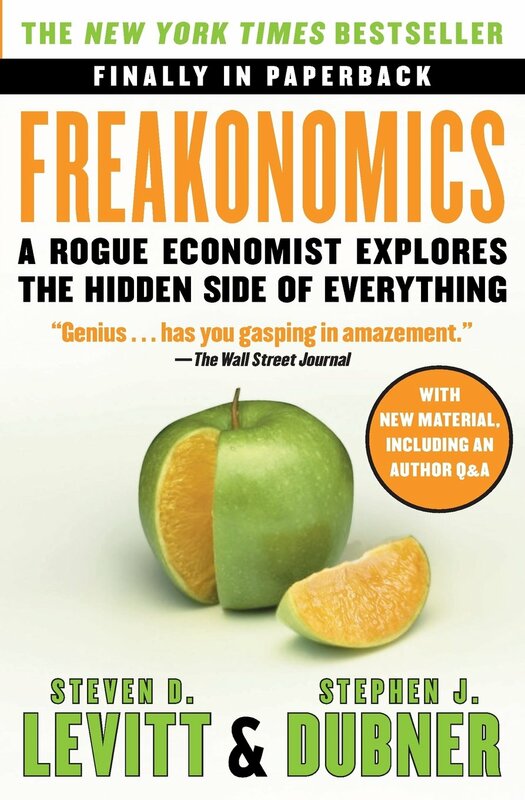 I discovered this book while googling ways to increase the profitability of my companies. This book really changed my outlook on how to run a business, become profitable, and stay profitable. I had the privilege of interviewing him on my podcast. Click here to access it! For the first couple of chapters of this book, I couldn’t stop laughing since Tony and I, as second generation Asian-Americans had much in common. His company Zappos is always rated as one of the best places to work, growing it to a billionaire dollar company, getting bought out by Amazon. He talks about how the culture of companies are what drive success of businesses, and what he did (and what you can do) to make sure Zappos reflected the culture he wanted. The rest is history! The Heath brothers have written several best-selling books. This one in particular is about how some ideas thrive while others die, and how we can improve the chances of them. They show principles to make ideas more sticky, and how to communicate our own messages. Jim Collins is one of my favorite authors. For those that know me hear me quote his lessons learned almost daily. He studied companies that went from good to great, how they did it, and the principles anyone can use to also become great. This book probably has been one of the most influential books for me. 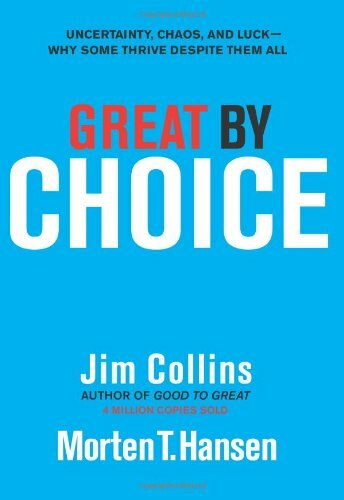 After writing the best-seller Good to Great, Collins followed up by researching companies that thrived even though they encountered tough times. This book took the authors 9 years to write, studying and analyzing tons of data. I quote quite a bit of the case studies and how companies achieved long-lasting success. This book has had the most effect on me as a serial entrepreneur. 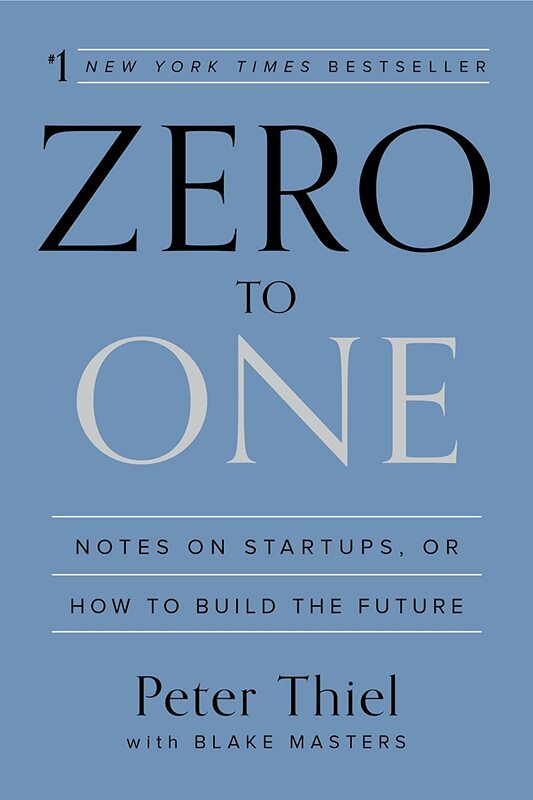 Ries’ Lean Startup approach has changed the way many businesses and startups are run. No entrepreneur starts a business thinking he or she will fail. Unfortunately most do, despite the fact that it can be avoided. How? Ries’ system is about getting feedback as quickly as possible and give customers what they want in an agile way. In this manner you cut costs, shorten cycles, and get sales in quickly! Kaufman distills the business concepts that the top MBA programs teach and delivers it an easy way for anyone can understand. He helps you understand how to apply them to a business so you can get the same level of education that many MBA grads get. If you are looking for a condensed business book that is all-encompassing, this book is a must. When people talk about to-do lists, David Allen’s methods have made a huge impact on how we get things done. He has developed a method that helps you focus on your long-term goals while breaking up your short-term ones into actionable steps, helping you become less stressed. If you want to learn a new skill quickly, Kaufman has a systematic approach to learn it as quickly as possible. He talks about how to overcome common barriers, where to focus your energies, and how to break-down complicated skills you want to learn. I used his methods to learn how to play “go” the chess of Asia! This book in my opinion has revolutionized how people view work, what is possible, and how anyone can leverage what is available in the marketplace to really work only 4 hours a week, and potentially make tons of money. This isn’t a get rich quick book, but one that describes in detail how you can outsource your work to increase your productivity and free time to do what you want to do! When it comes to being productive or performing at our peak, we usually think about better time management, the latest technology, or better systems. While all of those are important, the authors Jim Loehr and Tony Schwartz demonstrate through years of coaching the world’s greatest athletes, that managing energy, not time, is the key to enduring high performance as well as to health, happiness, and life balance. They give awesome tips that I implemented, helping me immediately! The authorized biography of one of the brightest minds, what influenced him, and how he revolutionized how we live. The author is Walter Isaacson, who wrote the best-selling biographies of Benjamin Franklin and Albert Einstein. 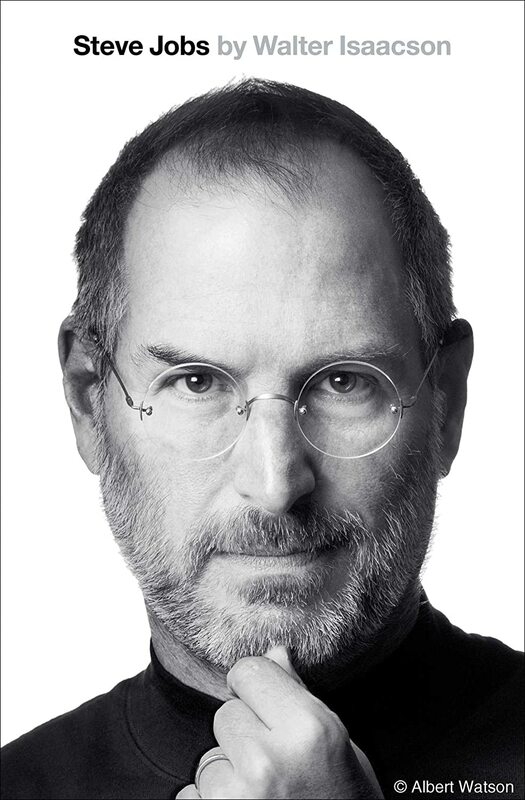 His book is based on more than forty interviews with Jobs conducted over two years—as well as interviews with more than 100 family members, friends, adversaries, competitors, and colleagues. Regardless of where you are politically, this autobiography is a fascinating look into President George W. Bush’s life, and as how the title states, the decisions he made based on the information he had. I had the privilege of spending a few days with him a couple of years ago and he mentioned that he was the first President where email became the predominant mode of communication. He said that he never sent an email while president! Given the controversies surrounding some high-profile people with email, that turned out to be a good move. This book really gave a good look of what he faced as President, and why he made the decisions he made. Lincoln is one of my favorite U.S. Presidents, while many know his successes, not many know what he had to overcome to achieve his successes. This book for me brought new-found respect for Lincoln and what he faced. This book also goes in-depth on his main rivals, who later became his closest confidants, helping him unite our country in arguably the most difficult time in our nation’s history. Eisenhower was one of the reasons why I wanted to go to West Point. He was a master general and politician who arguably changed the course of history. From his humble upbringing, to his West Point years, to World War II, to the Cold War, he faced some of the toughest challenges any leader has faced. A must-read! This 1,000 page book is worth every page (or minute if an audiobook). Based on massive research (I can’t imagine how much time put into it!) 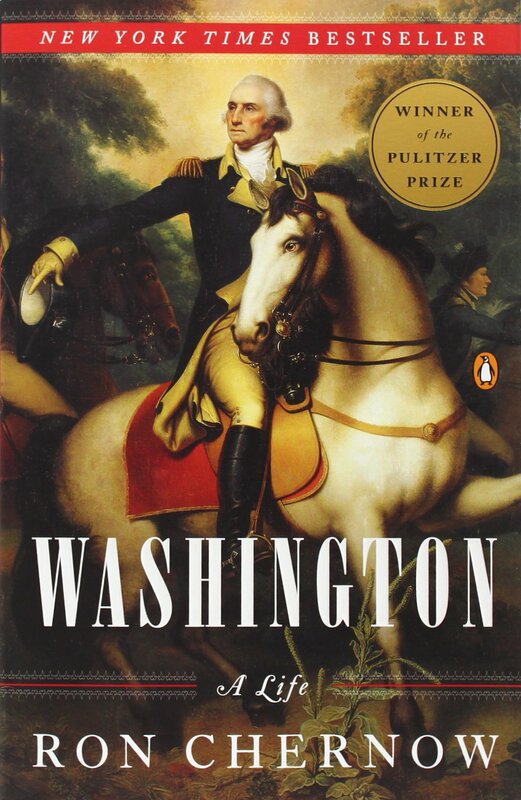 Chernow really challenges the typical stereotypes many have of the father of our country. Many see Washington as a godlike unemotional figure. While his exploits are not understated, you see that he was person of deep beliefs, passions, and one who truly put his country above himself. Psychologists Stephen Goldbart and Joan DiFuria have worked with clients of all backgrounds, including billionaires. 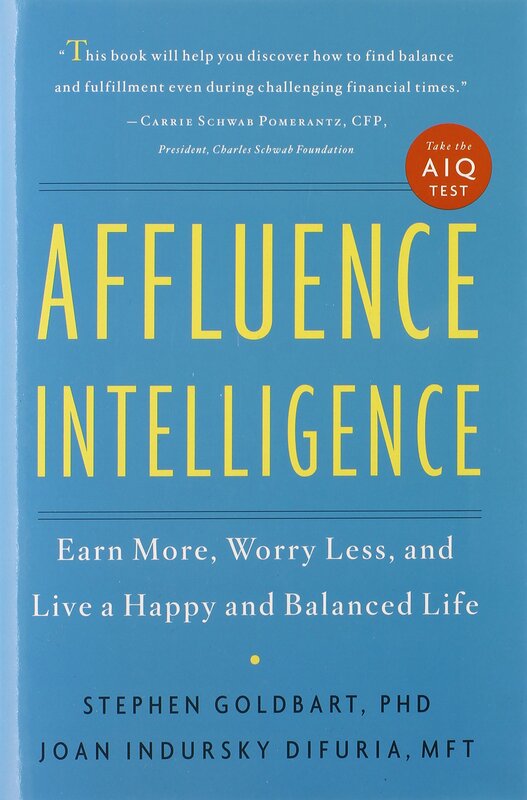 They developed the Affluence Intelligence Quotient (AIQ), a test to see how affluent and happy you truly are. They give a step-by-step program to help you raise you AIG so you feel more wealthy, fulfilled, and get to enjoy life more. Napoleon Hill’s books are probably the most widely read books on success and wealth. He wrote them after interviewing over 500 of the richest people in the world. Even though the books were written over 80 years ago, his words still stand true today! As many know, I have a strong interest in politics. This book describes how psychology and morality affect people’s view on politics and religion. He talks about why people vote in certain ways, and that much of the differences we have are less about ideology, but more about moral psychology. This helps you understand where both liberals and conservatives come from, and that there is more common ground that we think. When I first became state chairman of the Hawaii GOP, someone suggested I read this book. It was a good call, it really helped put things in perspective on the right strategies to take and not take. 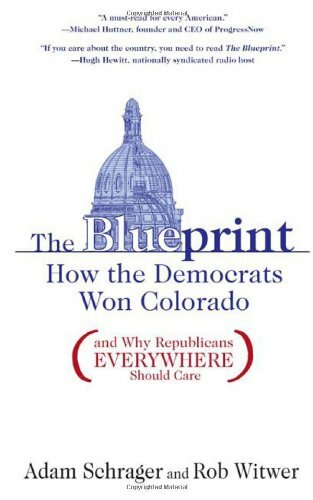 I have studied politics for a long time now, and the basics the book talks about are still the same to win.